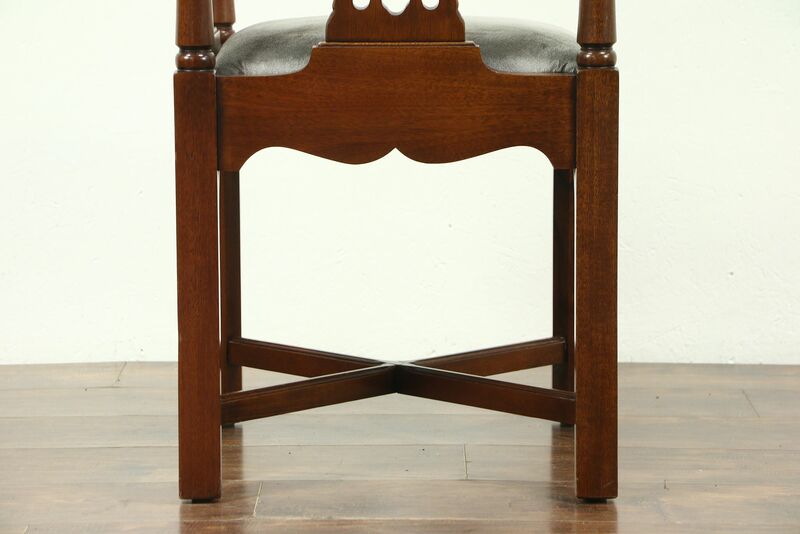 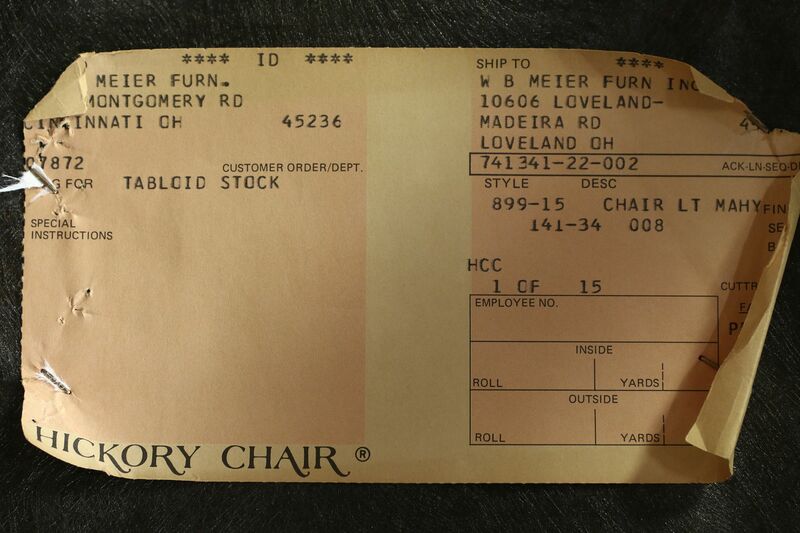 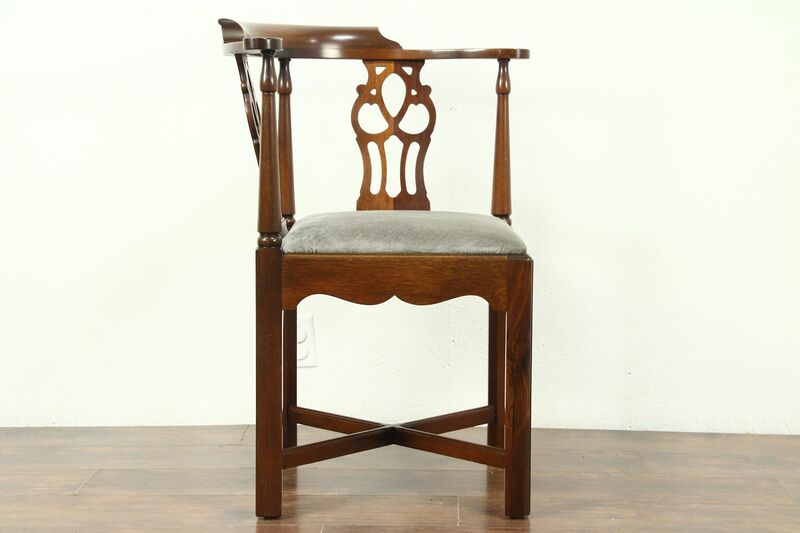 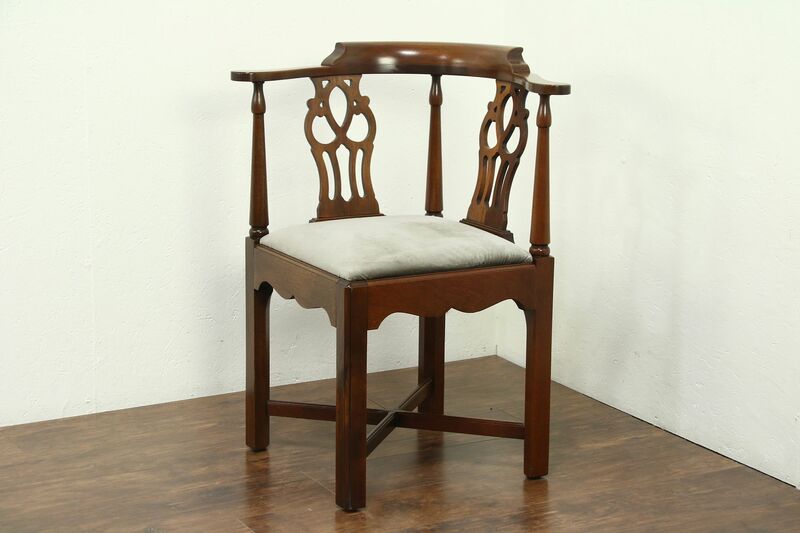 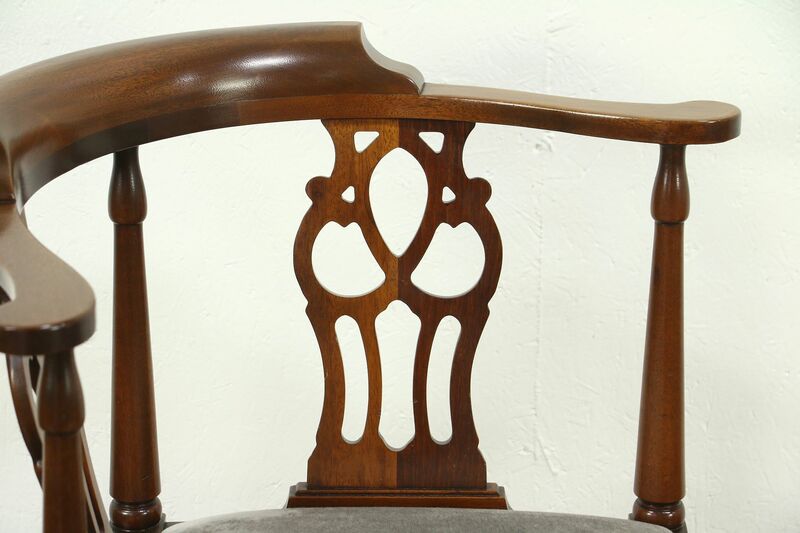 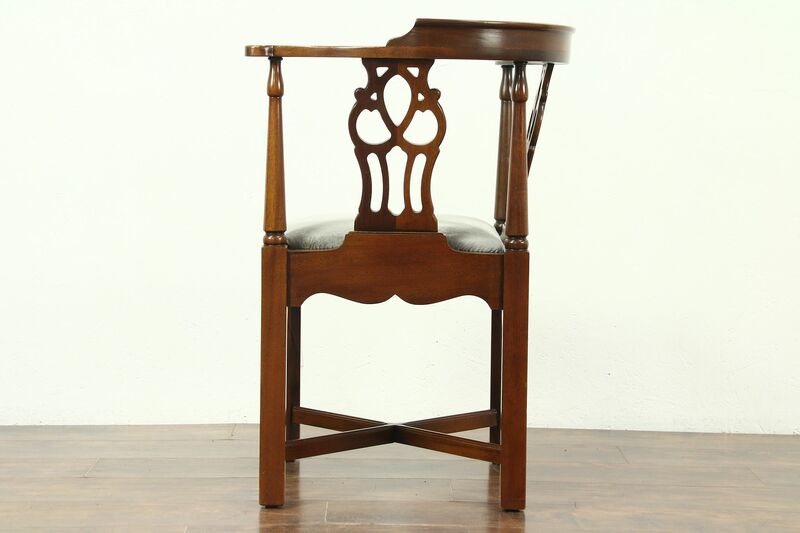 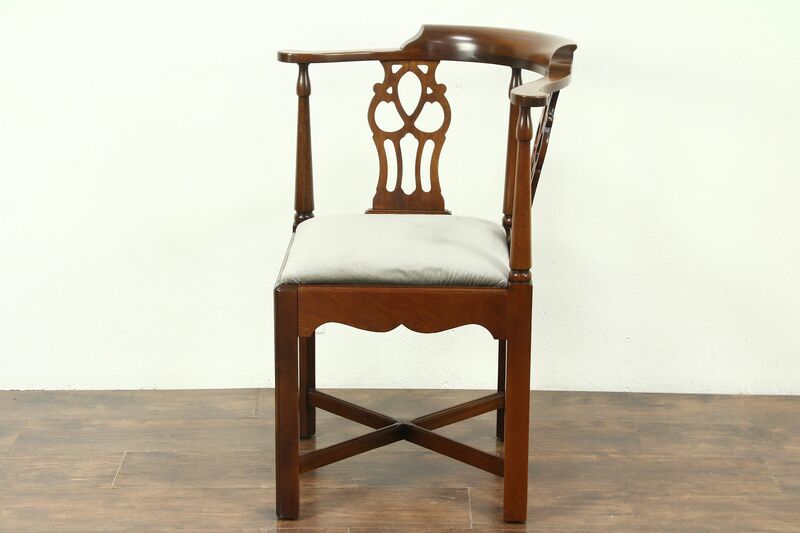 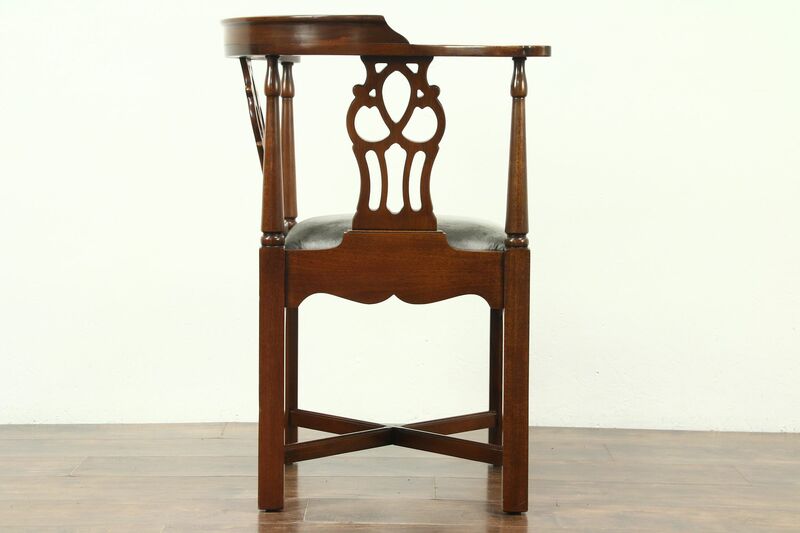 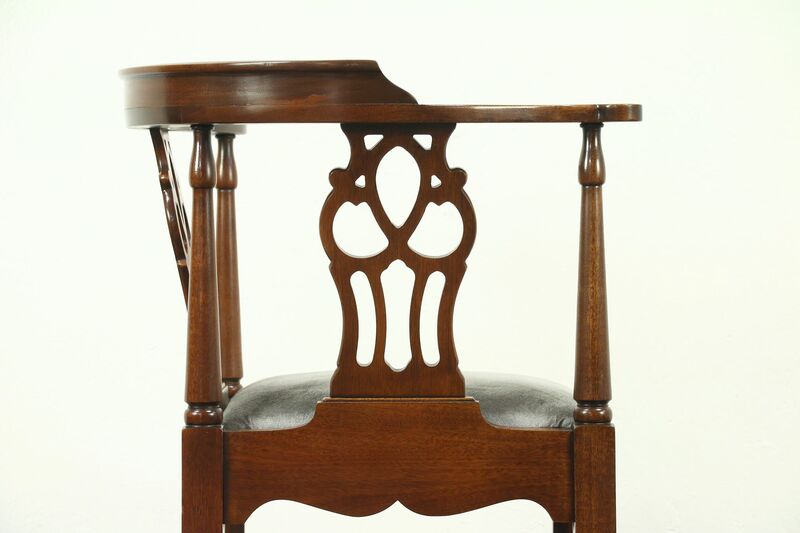 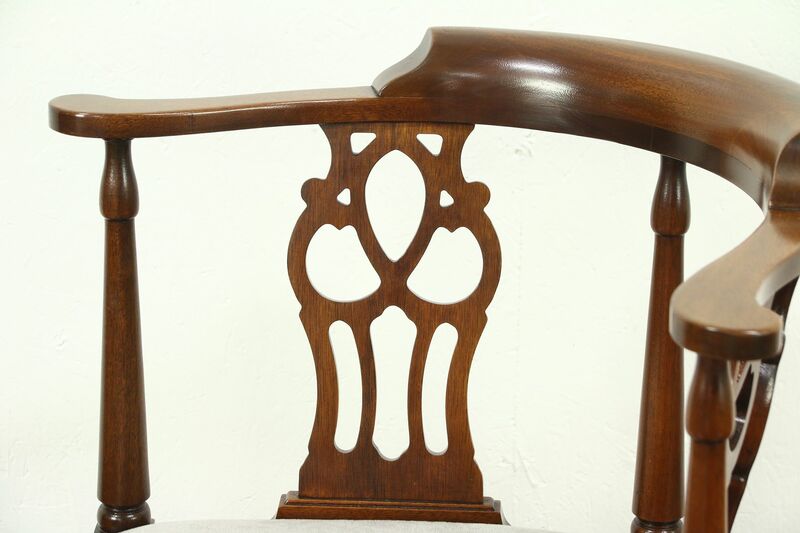 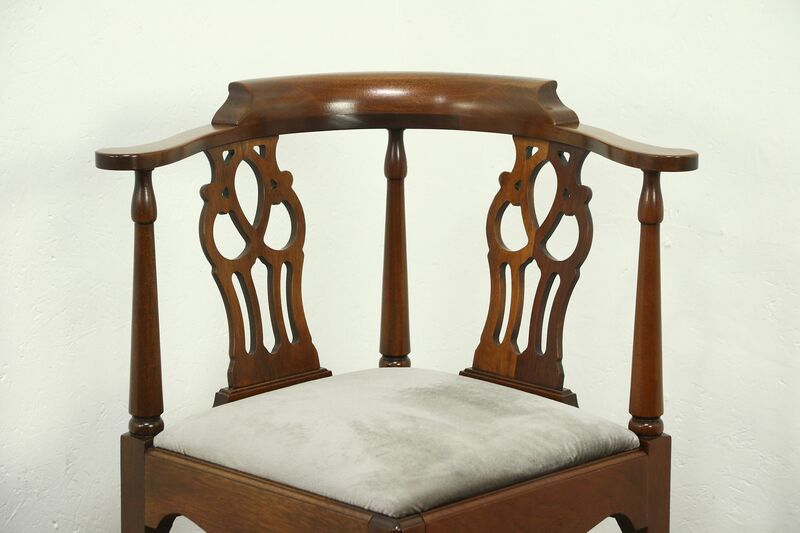 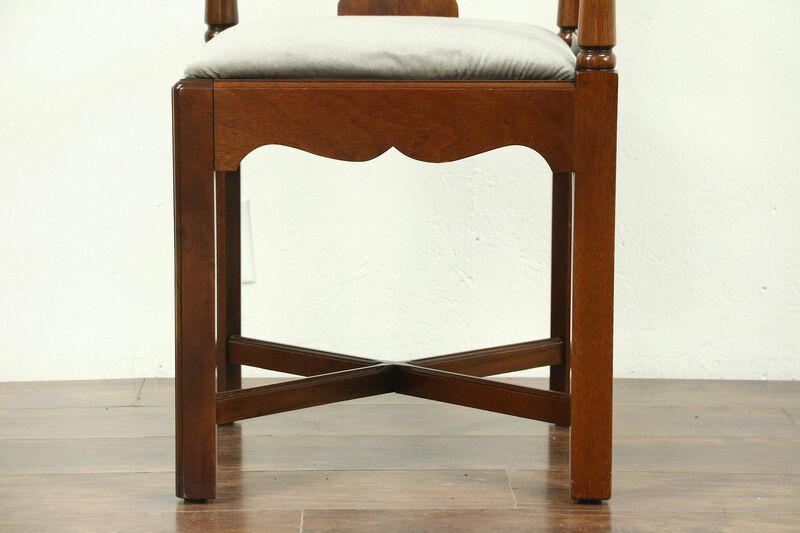 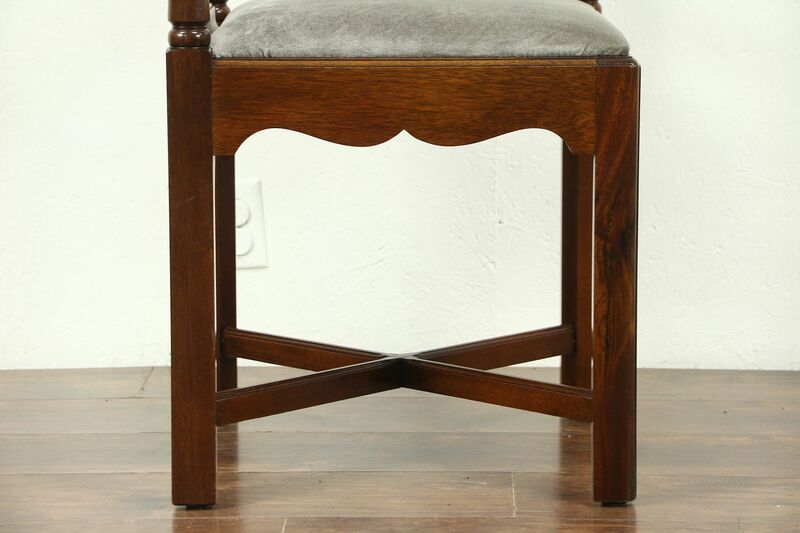 Carved of solid mahogany in the Georgian manner, this traditional corner chair is about 25 years old, signed by famous maker, "Hickory Chair." 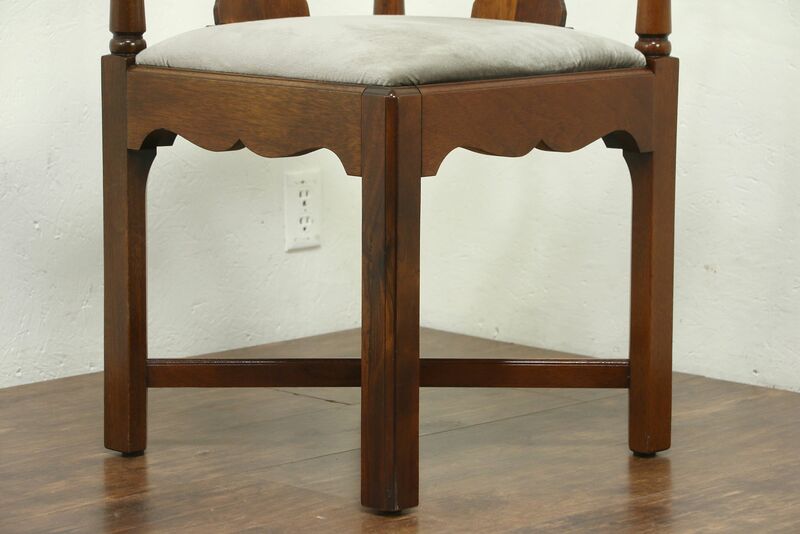 All original, the gleaming finish has very little wear. 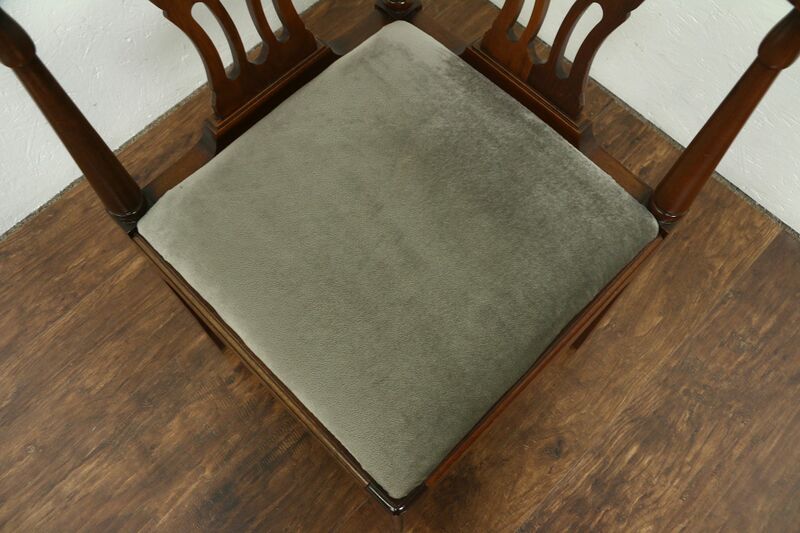 Upholstery is also in very fine condition and is easy to change if desired. 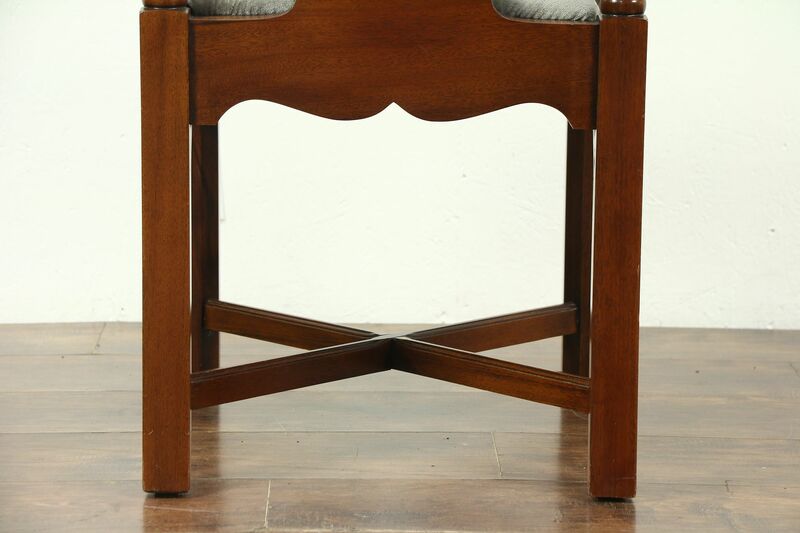 American made, this is strong and sturdy vintage furniture. 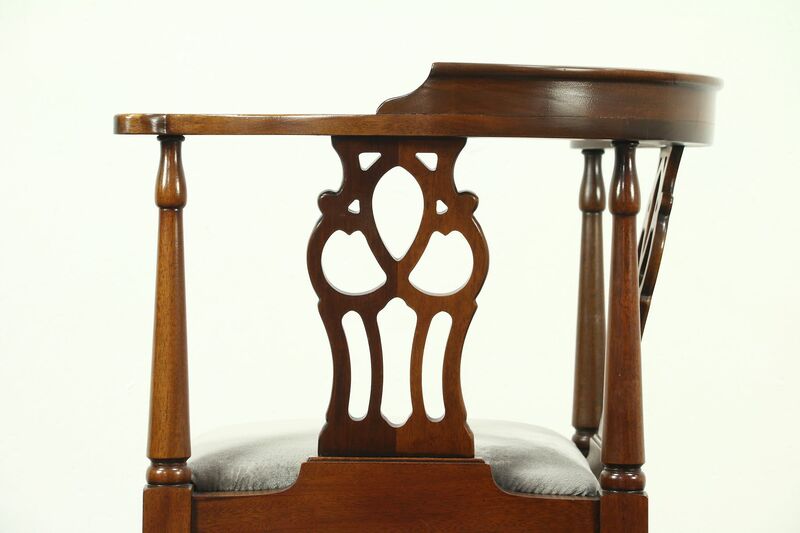 Measurements are 28" wide, 26" deep, 34" tall and the seat is 19" high.